"I hope to have a good year. It is difficult to say where I want to win, but I want be consistent throughout the year." Fabio Aru is preparing for 2017. Currently attending the first meeting of Astana in Montecatini Terme , the climber of Villacidro is laying the groundwork for what should be the season of redemption. 2016 was rather poor, and he makes no secret of having had a year that was "not easy and very negative." This, however, does not discourage the Sardinian who is now looking forward and trying to gather the positives of the recent months. "It was difficult in many respects, but I learned so many things,” he tells SpazioCiclismo. “I liked doing the end of season one-day races, such as the European Championship. Then I will always keep the memory of the Olympic Games. It is a unique event in which every sportsman wants to participate. Overall it was a year made of "many bad moments and a few beautiful” and from which he learned a few lessons that will serve "for the coming years". It has not been easy digest the disappointment. From the start of his professional career, Aru has experienced a gradual growth process, culminating in the success at the 2015Vuelta. This year’s Tour de France was meant to be the final consecration, but his failure must not erase what he has done previously. "I hope to have a good year,” he continues. “It is difficult to say where I want to win, but I want be consistent throughout the year." There will be some changes in the preparation: without forgetting training at altitude in which the Sardinian "believes a lot", he has the desire to take part "in moe races during the season to find the rhythm," and be ready for the most important events. 2016 was “bad from the beginning” but Aru insists that the team “has evaluated these aspects." 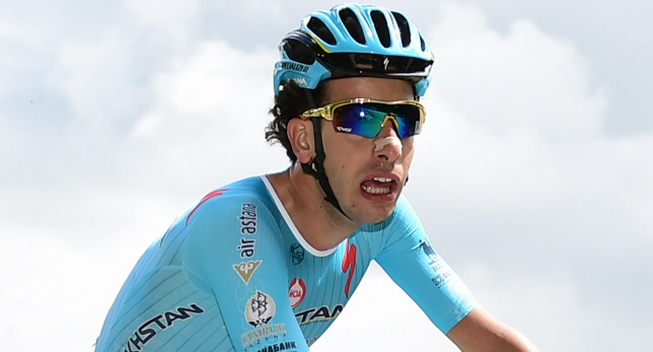 With the departure of Vincenzo Nibali and Miguel Angel Lopez sidelined with injury, all eyes are on Aru who is set to battle against Nibali at the Giro. The recent disappointment can be starting point for further growth and he has teammates that are ready to support him. “I've had teammates who have given me so much and, in particular, I want to thank Fuglsang,” he says. “He has helped me so much and I'm glad that he will go to the Tour de France and make his own race next year. He has the ability. I will return to the Tour sooner or later. It's a race that fascinates me a lot. "